In an increasingly mobile global economy it is important that African thought leaders consider the subject of innovations in the context of the millions of jobs that can be created and the larger impact on human life. The factors that inhibit Africa’s emergence as the next hub for disruptive innovations are the same factors that position Africa as most ideal for the innovations to happen: population and demographics. Of the world’s 7.3 billion people 1.2 billion are Africans representing second largest in population after China. By 2050, the population will have grown to 2.2 billion people. Of these, two-thirds are considered youth under the age of 25. With this snapshot how then do we see Africa emerge to lead in the age of innovation? Africa must first and foremost acknowledge population and demography as its competitive advantages. The median age in North America is 37 to 40 years, while in Europe it is 37 years and projected to be 52 years in 2050; on the contrary, Africa’s median age is 19 years. To compete, Africa must consider unleashing this human power onto the world by investing in skills, creating conducive environments for innovation, and most importantly, shaping the software for this innovation- our mindsets. What Africa requires is an empowered youth population that is clear on its self-identity, self worth, and with an inspired commitment to create and change.This is the power that can potentially put Africa at the centre of the global innovations space. Additionally, Africa has the fastest growing rates of both mobile telephony and data penetration, with a projected 700 million users of smart phones by 2050. Mobile technology, and data usage have been central to the disruptive innovations’ wave across the world. Innovation from a western experience is leading to more automated systems, replacing human effort in production and delivery of services. The drive for innovative solutions for Africa cannot afford to adopt this approach, for a region with 50 percent of global poverty. Africa must find a balance in its adoption of technological innovation where the benefits of efficient and fast communications are balanced against building efficient economies where labour is utilised. One can argue that the age of disruptive innovation is another way for capitalism to keep a stranglehold on world economies, and keep maximum profits flowing in the pockets of the already rich. The phrase (disruptive innovations) is reflective of similar catch phrases often shaped by capitalist drivers of economic thought to direct consumer trends and economic outlook. Using the power of media such phrases translate into a narrative which the rest of us conform to, and even when the narratives are shaped for audiences in western economies, the rest of the world catches on, Africa included. Disruption like many other trending fads such as the“Africa rising” narrative are products from the Silicon Valley mind labs, made more popular with the entrepreneurship start-up culture inherent in the capitalist Silicon Valley mind labs model. Thanks to their efforts, innovation in the tech-world has radically changed the way most access services and are increasingly putting traditional businesses out of the game. Modern business thinking demands an adaptation to technology,businesses either innovate or die. Take an example of Netflix, a company that was formed in 1997 that radically changed access to video and movie content business. Through its innovative business model of media streaming and video-on-demand, Netflix put thousands of videos and media content within button reach from the latest entertainment to classic documentaries, at an affordable cost. Previously, the business of movie rental services was dominated by Blockbuster, which however filed for bankruptcy in 2010 after a rapid decline in its revenue since the early 2000s after Netflix entered the market. It is nothing like what Blockbuster imagined would happen within such a short space of time, and now along with Blockbuster, several other cable companies have either closed or are struggling to cope. Uber, with its simplified model of accessing cab or taxi services at much reduced fares, and with ability to track and rate services offered, is leaving traditional cab drivers and taxi companies globally in disarray, but customers are responding favorably. Uber makes the passengers life so simplified from ordering a taxi, to payment, and receipt. The same goes for services offered by Spotify the audio and music sharing platform, and Airbnb giving traditional hotel accommodation service around the world nightmares. Finding the right balance. How do we get moving in Africa? Enter Africa the much-taunted next frontier for economic growth and opportunity. (phrase reminiscent of colonialists arriving on Africa’s shores ready to conquer). Moving through many innovations and accelerator hubs, you meet some of Africa’s bright minds, working on a host of wide range of ideas that can offer solutions for easier and effective service delivery for social services, facilitate a dynamic local economy, and truly disrupt different economic sectors and the world economy. For the millions of innovative ideas in thousands of hubs being advanced by the young generation in Africa to reach scale, and impact societies where they live, and the world around them, several factors must fall in place. Primarily, Africa needs its own “Silicon Valleys” — investment in environments and infrastructure to enable an economic system to thrive that supports critical thought, incubates ideas, and accelerates them into viable ventures. Public and private sector drivers must recognise this as a critical component for economic dynamism that will enable service providers to offer solutions to a wide network of people across the continent. Innovations that make sense to the lives of ordinary people. Uber, Airbnb, Spotify or any of these western developed innovations will not grow economies in Africa. They will make the life of the privileged class more comfortable but not create jobs on scale, nor would such a model offer solutions to get millions out of poverty throughinclusiveeconomic growth models. The mindset towards African innovation must offer solutions to the most pressing problems or needs of the people in critical areas such as health, education, finance or even recreation. Efforts at such innovationsmust also be invested in, and be facilitated to reach scale. Investing in innovations that are not inclusive, thatexclusively cater for the elite and well to do, will only heighten the income divides with negative consequences. Some of the African innovations that have succeed in disrupting how services are accessed give hope that this is possible. 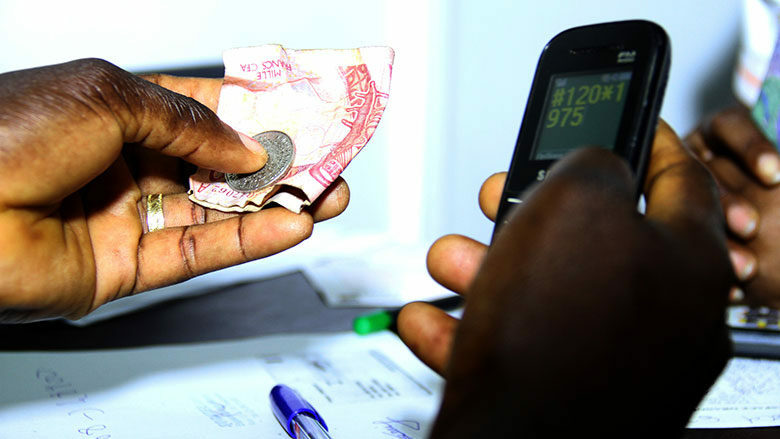 Mobile money, an innovation by Safaricom in Kenya, is perhaps the best example of disruptive innovation radically changing how ordinary people can access services on a simple mobile platform, giving sleepless nights tothe traditional banking institutions. The other example is Nollywood from Nigeria with its film production catering for a mass audience in Africa that relates to story narratives more than they can relate to Hollywood movies. The combination population growth and demographics, cell phone penetration and increase in data as drivers for tech innovations, all point in the direction that Africa can lead in innovations. To what extent we shall see more of these innovations disrupting economic service systems on scale and lead to billion dollar investments and listings on world stock markets is yet to be imagined. To begin with, we must think-tank how to innovate differently. We can’t do it the American way or how it has been done in the western economies and win. We simply don’t have thesame software (mindset) with a vision of society and agenda like they do. To put it simply, Africa has to invest in young people. They are the greatest resource the continent has. Shaping their mindset and validating their ideas and thought processes of their own place in an increasingly globalised world is what we must do. Awel Uwihanganye is the Founder & Senior Director at the LéO Africa Institute, organizers of the 2017 LéO Africa Economic Forum.